Hereditas has now published it's first articles on the BioMed Central platform. To mark the journal launch we met with new co-Editor-in-Chief Professor Yongyong Shi to learn more about his background in genetics. This week saw the re-launch of Hereditas, one of the world’s oldest genetics journals. We are very pleased to welcome Hereditas into the BioMed Central portfolio. The journal has a long history dating back to 1920, and is the official publication of the Mendelian Society of Lund. Previously published by Wiley, Hereditas ceased publication at the end of 2014. We are very pleased to now welcome the journal into the BioMed Central portfolio, and look forward to seeing Hereditas into its centenary on our platform. Hereditas still retains its Impact Factor, which is now 1.12. We are also delighted to welcome Yongyong Shi as co-Editor-in-Chief, alongside existing Editor-in-Chief Stefan Baumgartner (Lund University, Sweden). Professor Shi studied and started his research career at Shanghai Jiao Tong University, China, where he is now a Distinguished Professor. He also has several other appointments, including Senior Visiting Scholar at the Mayo Clinic. Professor Shi’s primary research interest is the genetic studies of complex traits, including mental disorders, tumors and metabolic diseases. His team have also developed several bioinformatic algorithms and experimental tools for genomic data analysis such as SHEsis Online Data Analysis Platform and Nano-particle Based Long-range Haplotyping Technology (AuNAS). Here we talk with Professor Shi to introduce him to our readers. What attracted you to research in the field of genetics? The ability to discover the microscopic world and understand the basis of origin, inheritance, evolution, etc., is very attractive. The field of genetics harbors the mystery and essence of life, and it is also a multidisciplinary area tightly correlated with biology, medical science, computer science, mathematics, etc., which attracted me to enter the field and research since I was a Ph.D student. How have technological advances improved research into complex human traits? Technological advances have tremendously increased what we know about complex human traits. In the last decade, advances in genechips and NGS technologies have made it possible to gain information of a whole human genome, which contains ~3×109 base pairs; they have also made genome-wide association studies (GWAS) and deep sequencing analysis possible, and pushed technological advances in bioinformatics. The current scientific efflorescence in the genetics field, which is resulting in the precision medicine era, is tightly linked with great technological advances. Much of your research focuses on Chinese populations. Which findings have been of particular interest regarding genetic associations with disease in Chinese individuals? In most cases, the molecular pathways of a particular disorder should be the same across different populations. Yes, most of my research focuses on the Chinese populations. However, in most cases, the main genetic etiology and molecular pathways of a particular disorder should be the same across different populations. The different results among populations should be correlated with differences in frequencies of variants, linkage disequilibrium distributions, effect sizes of specific genes, and environmental factors. Therefore, the independent large-scale genetic association studies in different populations are important and necessary for the field, which will lead to much better mapping and validating of causal genes and a better understanding of pathogenesis. With increasing amounts of GWAS data being gathered, how do you hope this information to be used in the future? Recent studies have found that GWAS-associated genes are statistically more likely to be existing drug targets. GWAS data are one of the most important contributions to the genetics field in the last decade, and these findings are treasures of the precision medicine era. Recent studies have found that GWAS-associated genes are statistically more likely to be existing drug targets, and also can be used to search for new drug repositioning. And undoubtedly, GWAS results can be used for the prediction of disease risks, though the data might not be applicable at the current form — I believe a deep understanding of the causal genes and mutations is necessary for prediction. What is your vision for genomic medicine? 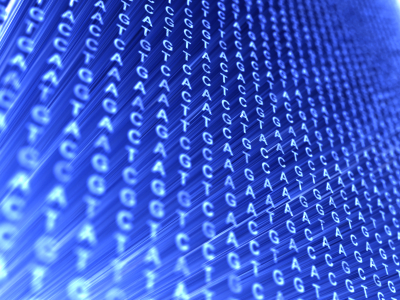 Genomic and genetic findings are leading to a revolution in medicine. Genomic information is instructing drug discovery, personalized medicine, new therapeutic strategy, etc. However, the clinical application of genetic analysis needs more stable and accurate technologies than that in the lab. With continuous improvement of basic research knowledge, analytical techniques and clinical application, all of us will benefit from genomic medicine. Do you have any personal comments on beginning your role as Editor-in-Chief of Hereditas? I am very happy to begin my new job as a co-Editor-in-Chief of Hereditas. As you know, Hereditas is one of the oldest journals in the genetics field, and it is now an open access journal publishing original research and reviews across all areas of genetics and genomics. It is my great honor to take this position, and I believe the journal will shine on the stage of science with the teamwork of all of us, especially the authors and readers.